Do you want an affordable solution with top-of-the-line business features and better overall control of your voice systems? It may be time for your business to make a move to the cloud. Cloud-based phone systems have been growing in popularity amongst businesses, with many making the switch and for good reasons. We provide you with servers held in state-of-the-art data centers with failover protection and around-the-clock supervision, so your systems are always protected and fully managed in “the cloud”. At TouchPoint Networks, your business receives secure, fast, accessible, and reliable service at affordable rates you can’t get anywhere. Low Costs – no high installation or equipment costs due to your information and data being stored in the cloud and you pay as go for the usage. Scalability – Cloud-based systems can quickly grow as your business expands. 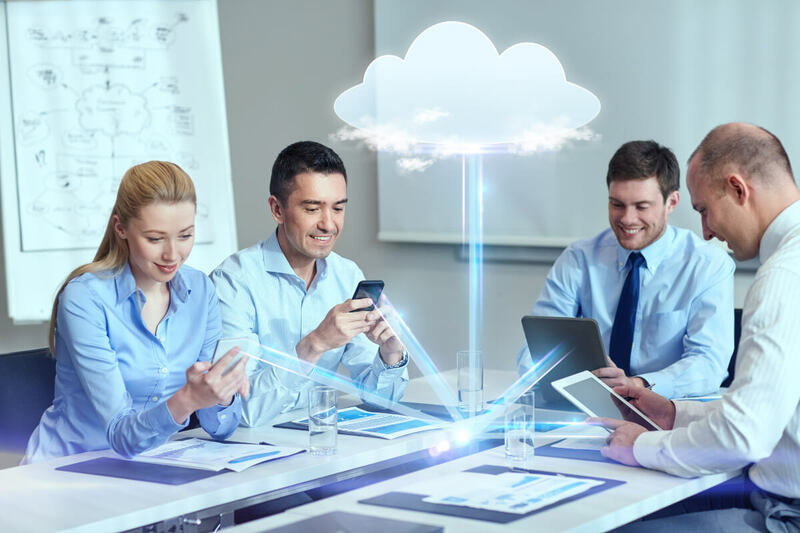 Flexibility and remote capabilities – In addition to scalability, cloud phones offer mobility and can go anywhere you go, allowing for adaptability and remote presence for your company. Enhanced Security – Moving to the cloud provides better encryption methods. Layers of protection for your servers aid in the reduced chance for data breaches, protection against denial of service attacks, allow your business easy access to its data, and better support. Business continuity and disaster recovery – In the event of an outage, fire or inclement weather, your business continues and can quickly be recovered since your data is held in remote data centers. Innovative enterprise-level features and applications – From unified communications which allow for functionalities like live chat, call analytics and management to messaging and team collaboration features for webinars, conferences, and more. Some cloud-based phone systems even integrate artificial intelligence to learn patterns and trends for automated responses. It may be time for your business to make the switch to a cloud phone system and TouchPoint Networks is here to help. We offer solutions that can be tailored to your company’s needs with the state-of-the-art features that will improve efficiency and boosts business.